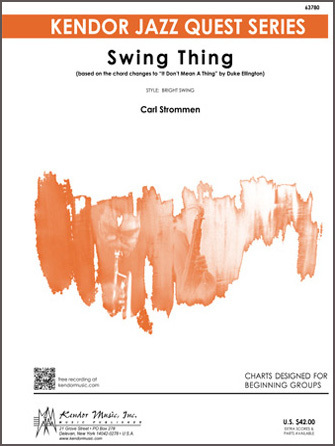 Description: Based on the chord changes to It Don’t Mean A Thing by Duke Ellington, this chart is the perfect chart to introduce beginning jazz groups to the swing style. The solo section is playable by any instrument, with solo sheets provided in all keys along with scales to assist students in improvisation. Featuring Kendor Konvertible scoring for 9-17 players, each set includes a guitar chord chart by Jim Greeson and optional flute, clarinet, horn in f, tuba and vibes parts. Duration 2:10.